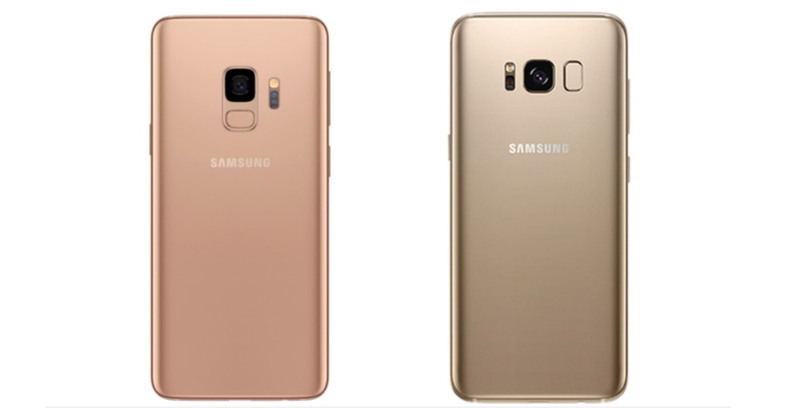 Samsung is launching a ‘Sunrise Gold’ edition Galaxy S9 and S9+. In an interview conducted with Samsung’s Seung-hwan Park and Young-gun Kim from the mechanical research and developer team and Hye-jin Bang and Hye-jung Lee from the design team, the company explained why they chose the new Sunrise Gold colour with a satin gloss finish. Lee even explains the meaning behind the name ‘Sunrise Gold.’ Each colour of the S9 reflects a different time of the day, Midnight Black inspired by the night, Titanium Gray symbolizes the time between night and day, Coral Blue represents dawn and Lilac Purple reflects sunset. Sunrise Gold’s reddish hue ties with the rising of the sun. While unlikely, we’ve reached out to Samsung Canada to see if this version is coming to Canada. For the complete interview that dives a little bit more into the device’s satin gloss finish, check out Samsung’s Newsroom.